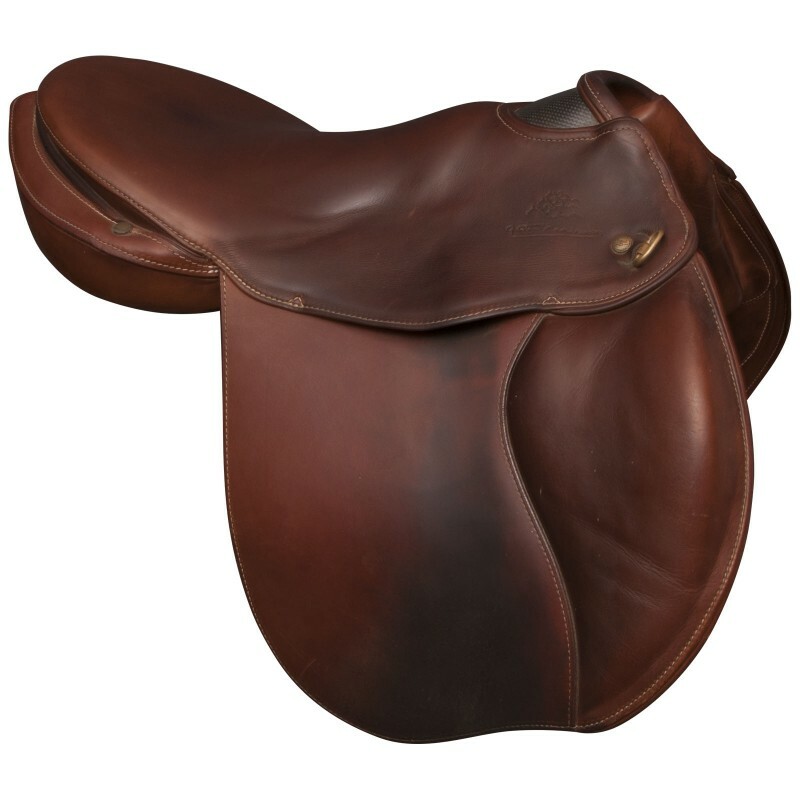 CSO saddle- Made for jumping, inspired by our concept which positions the rider behind the withers, thus allowing a total freedom of the shoulders and a commitment of the hindquarters! 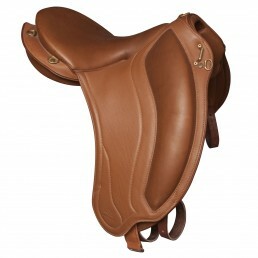 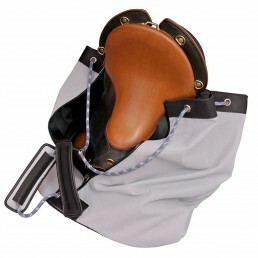 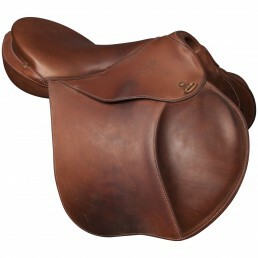 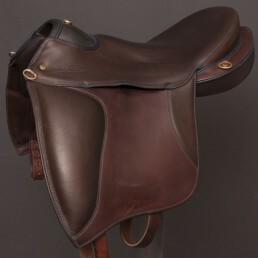 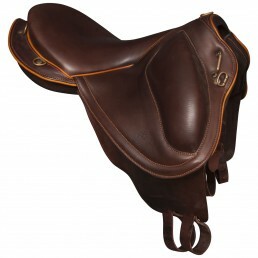 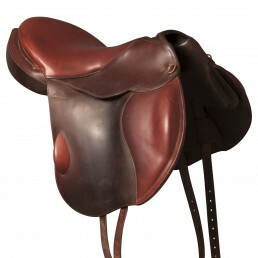 Spring'Up 2015 demo saddle with a walnut seat, hazelnut flaps and a walnut pipping. 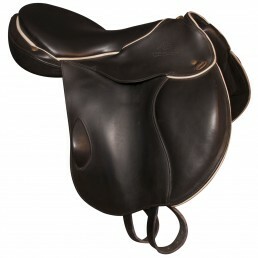 Built for the sport of CSO, inspired by our concept that positions the rider behind the withers, allowing complete freedom of the shoulders and engagement of the hind legs, all in a perfect muscular relaxation (three elements essential to the good trajectory). 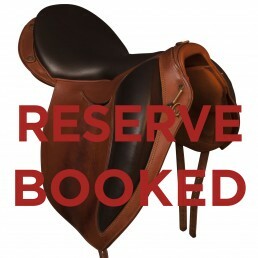 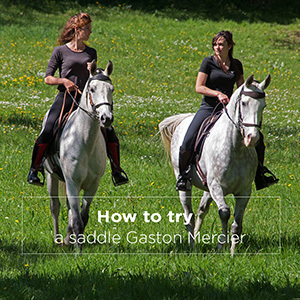 Its all-carbon tree and the ergonomics of its seamless preformed seat give you even more contact with your horse, leaving you plenty of freedom to choose your seat. 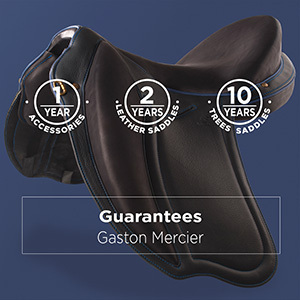 Since 30 years, we marry the tradition of leather with the virtues of high-tech materials, this link we get the lightest saddles in the world. 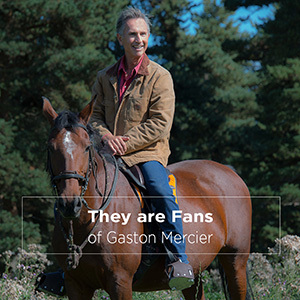 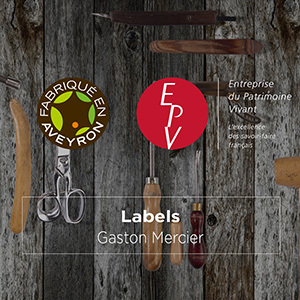 The SPRING UP benefits from all the experience of our innovations.